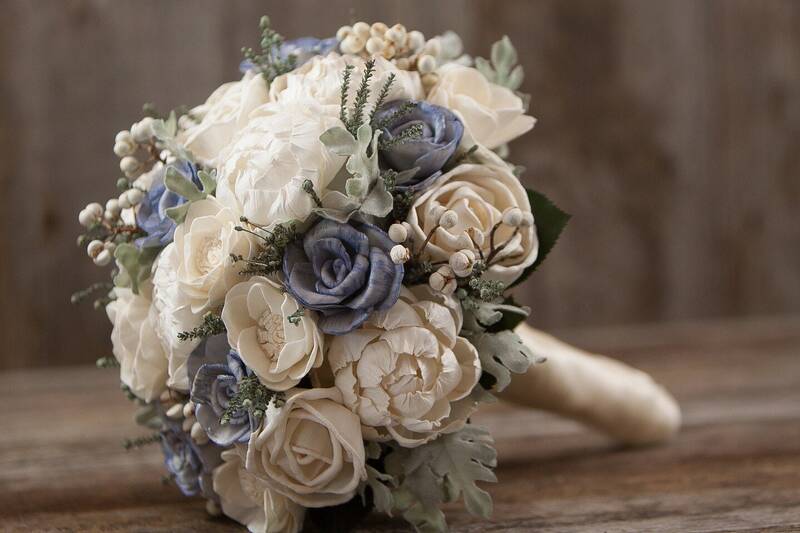 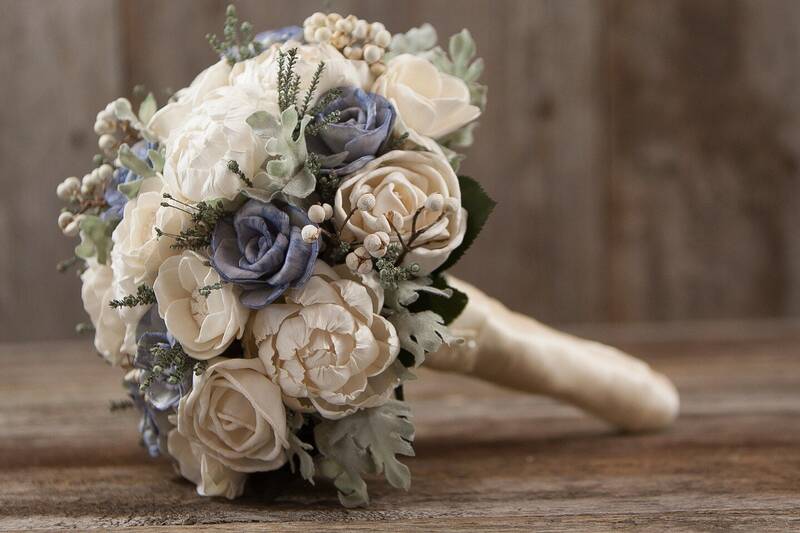 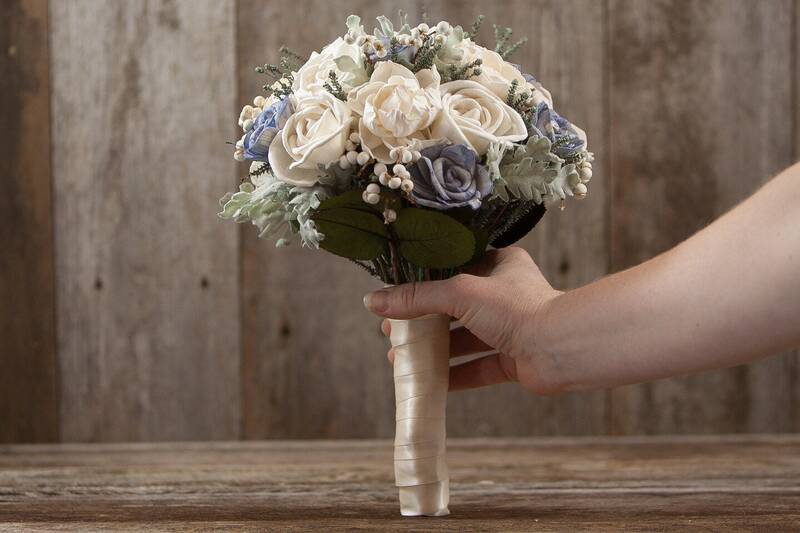 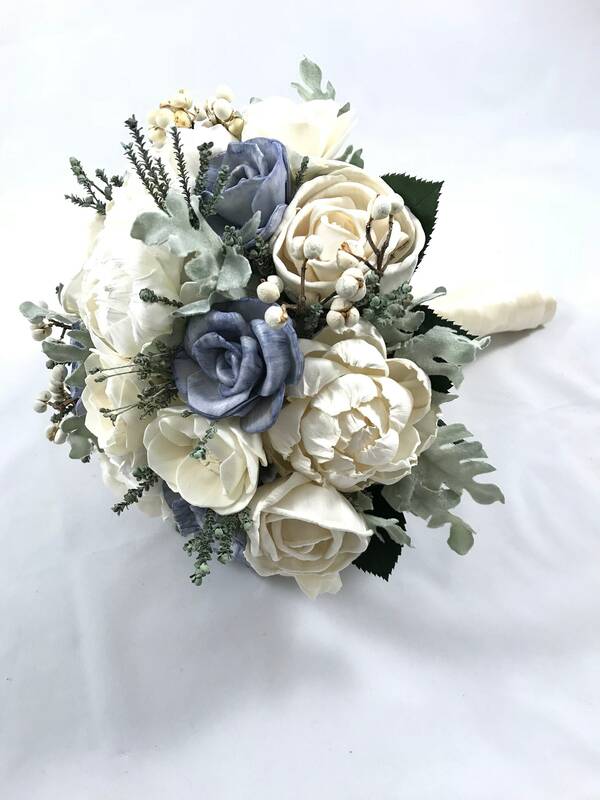 This is a small, hand tied bridal bouquet that would be great for a dusty blue or steel blue color themed wedding. 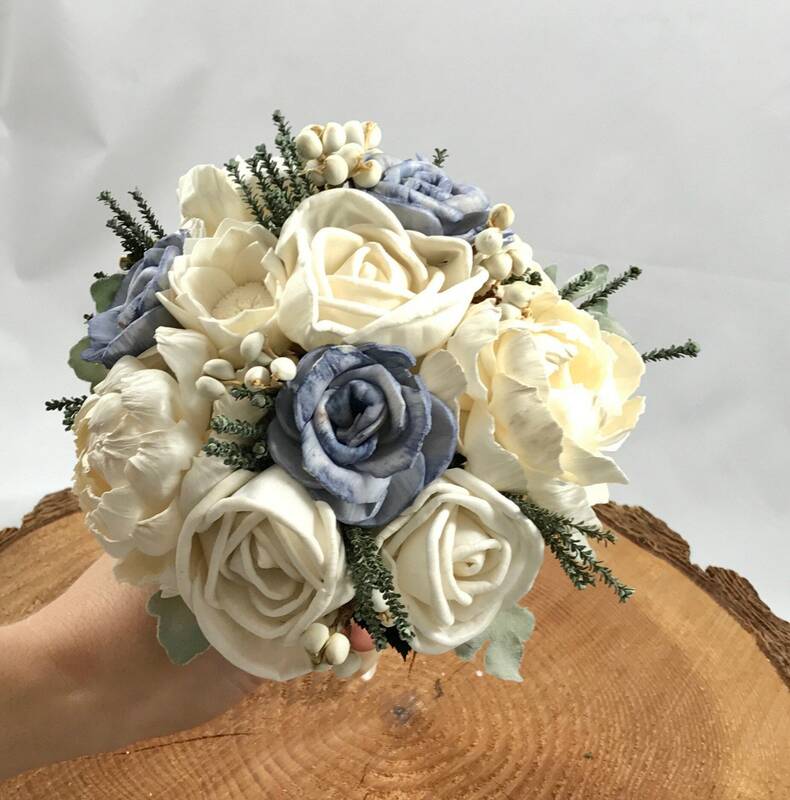 It could also work as a bridesmaid bouquet. 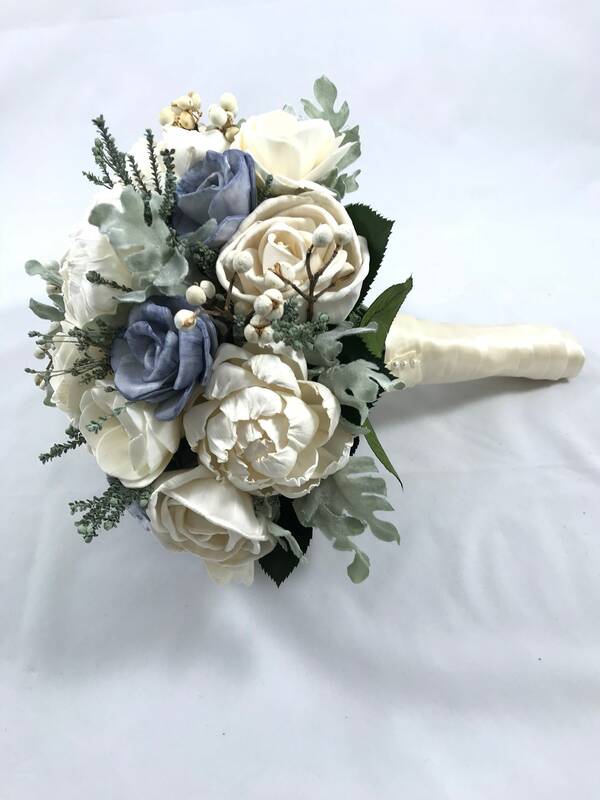 It is also a keepsake bouquet, so you will be able to enjoy it after the wedding! 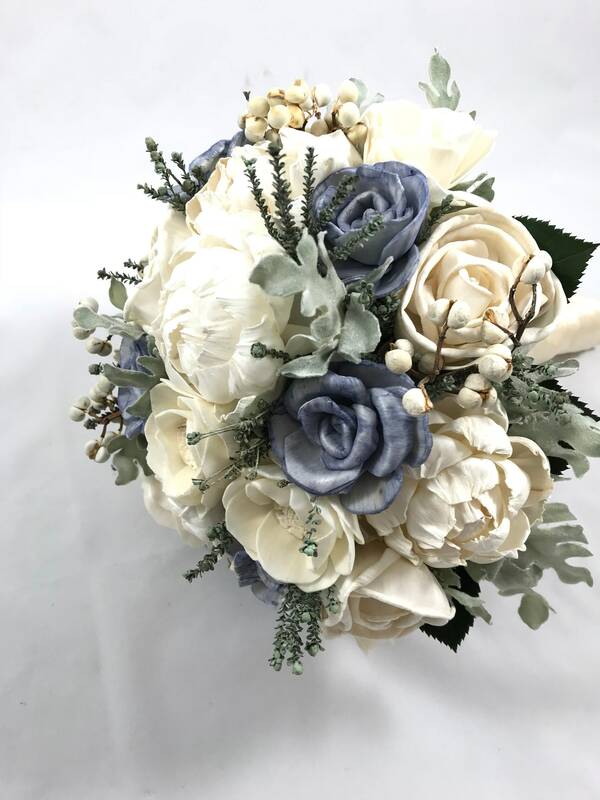 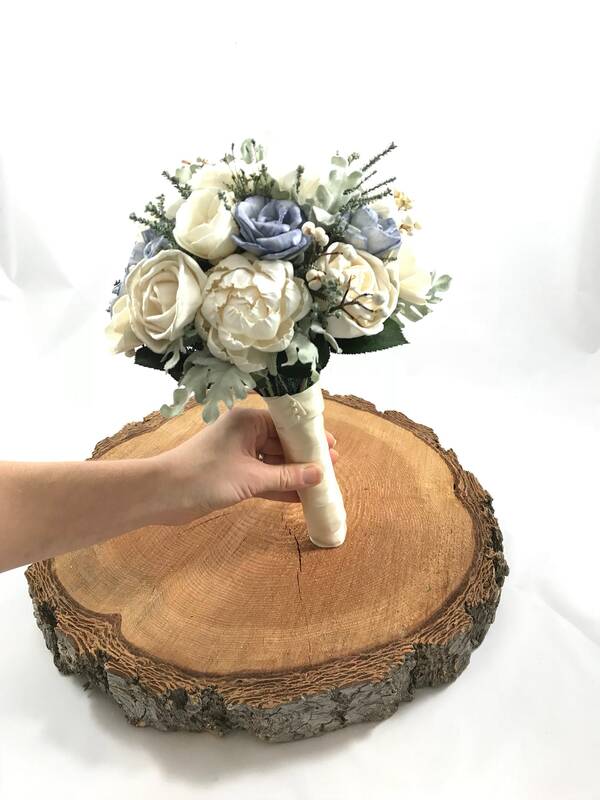 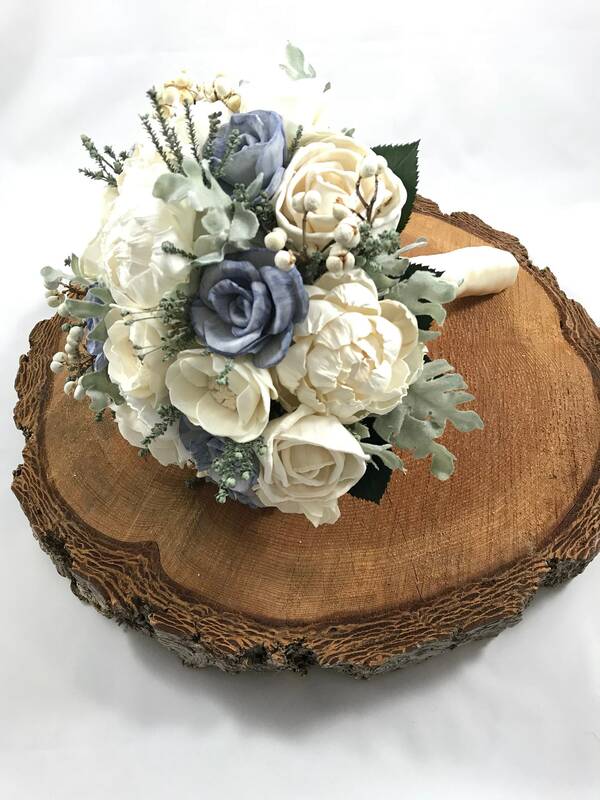 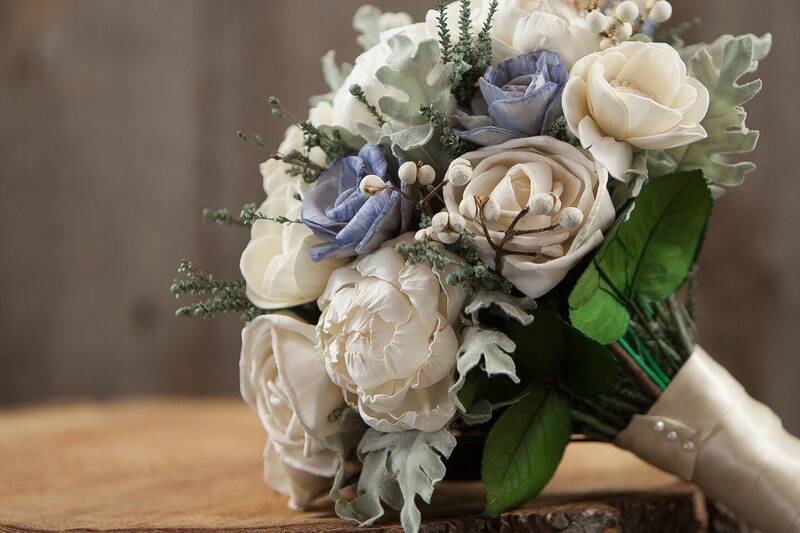 Flowers: Ivory and steel blue sola wood flowers, dried tallow berries, preserved grey foliage, preserved green rose leaves and faux grey dusty miller leaves.